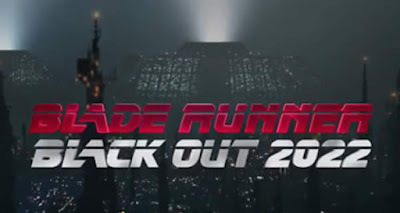 SNEAK PEEK: "Blade Runner: Blackout 2022"
"...director Shinichiro Watanabe ('Cowboy Bebop', 'Samurai Champloo') is directing an animated tie-in to the 'Blade Runner 2049' film, which opens in Japan on October 27. "The new film is titled 'Blade Runner Black Out 2022'. "The anime is set in the year 2022, between the original 'Blade Runner' film in 2019, and its sequel 'Blade Runner 2049', with a story involvong a major power outage on the west coast of the US..."
Cygames Pictures, the anime studio subsidiary and smartphone games publisher is producing the film with Shukou Murase ('Halo Legends') as character designer/animation director and Flying Lotus composing the music.